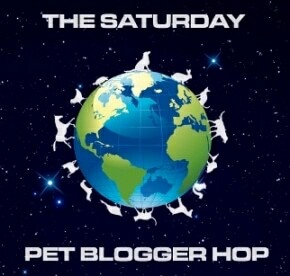 The World According To Lexi: June is Adopt A Shelter Cat Month! According to my dog Lexi, kitty cats need love too so why not take advantage of the special adoption fees at our local Roanoke Valley SPCA. 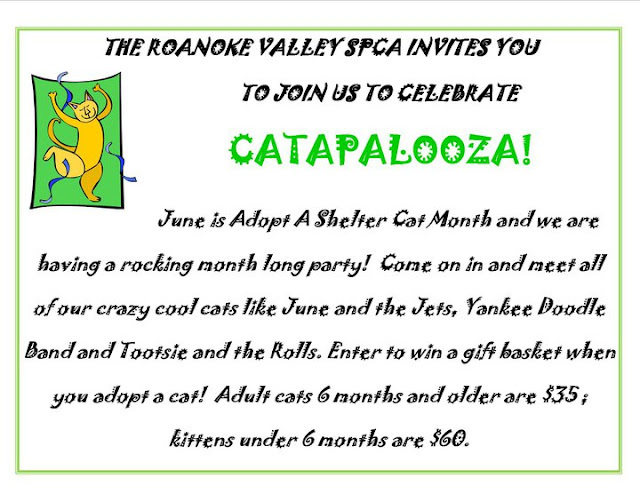 Special adoption fees for June for adult cats (six months and older) the fee is only $35.00! If it is a kitten you are looking for, the adoption fee is only $60.00 on kittens under six months. 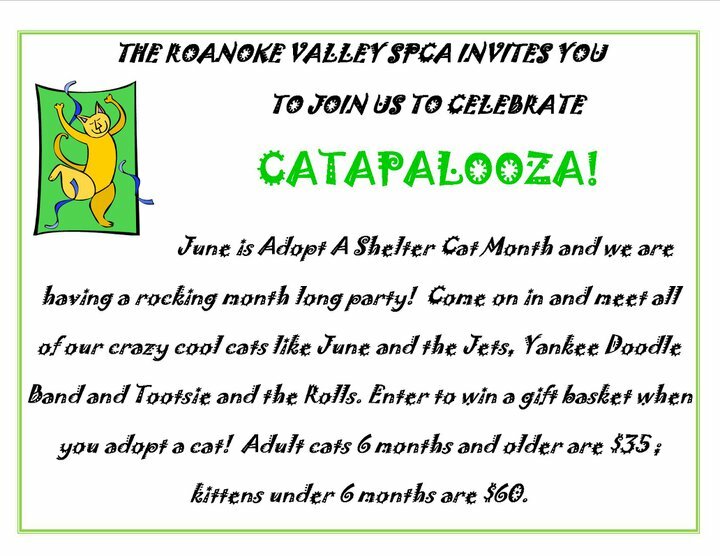 Stop in the RVSPCA for their annual Catapalooza.